The Royal Agricultural Station Inthanon. King. 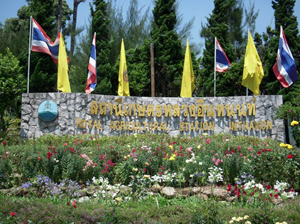 Bhumipol aware of the threat to national security. Saw floating cultivation and destroy a forest . Which causes various problems. Followed not only in the local. He want too help them to have the space to do it as a residence. Promotion of alternative crops to opium. And knowledge transfer in agriculture plan. To increase agricultural productivity. Improve the well-being of his people for the better. And protect the forest and pure water. In February 2522, Royal Project Foundation has established. "Inthanon Royal Project Research Station" on an area of 150 acres, is one of the research stations of the Royal Project Foundation. Research conducted on the data. Approach is to apply the results of the research is to promote the professional income of farming families. Tourism Activities. The agricultural tourism. Convert your winter vegetables, flowers, vegetables HYDROPONIC Knicks. And research plant of winter. See garden with roses millennia. And seasonal flowers.